Long-time St. Catherine's parishioner Ann Blue has been awarded the Order of the Diocese of New Westminster for "extraordinary service, leadership, wisdom and committed ministry to God’s mission in the world." Ann is the current head of the Altar Guild. She sings in the church choir and has been writing a column for the St. Catherine's Courier for over 30 years. Among her other contributions, Ann has served as a church warden and was one of the founders of the Paul's Place Soup Kitchen. The award was presented at Christ Church Cathedral (Vancouver) on November 6. On November 20, St. Catherine's Church members gathered at a potluck supper to celebrate with Ann. 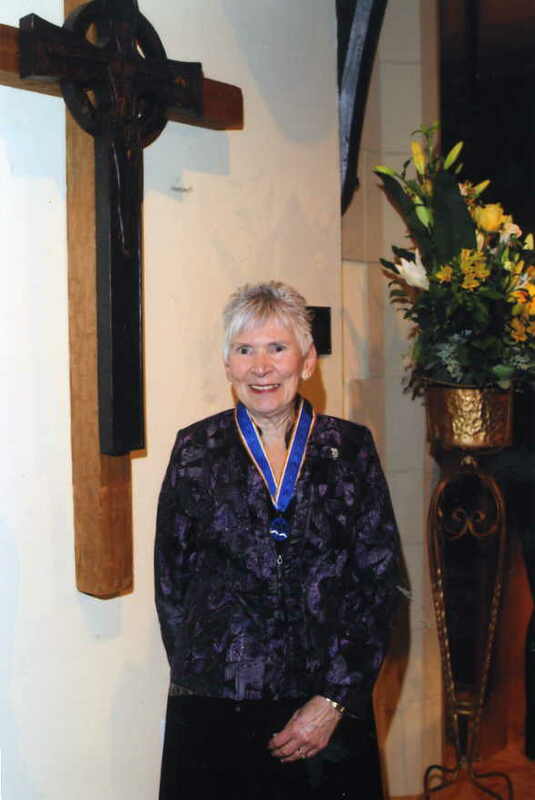 St. Catherine's salutes you, Ann, for a well-deserved honour.